Tech giant Amazon has announced its new disruptive venture — a corner store called Amazon Go - which fuses together online and in-store consumer experiences. The 1,800 square-foot store in Seattle has no registers. Instead, shoppers scan into the store with their Amazon Go app, shop around and leave the store with the items billed to their Amazon.com account. Consumers don't even need to scan items individually. They just walk out. 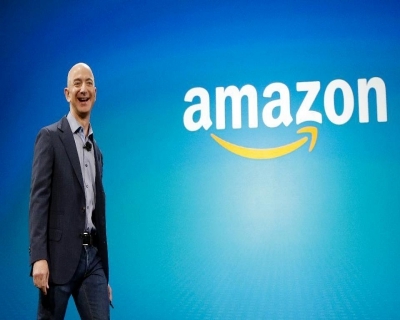 What is amazing about Amazon’s new venture? Amazon has launched its own grocery store in Seattle, as the commerce giant looks to shine a light on a new “checkout free” shopping experience. Located at 2131 7th Ave in Amazon’s own premises, Amazon Go is limited to a new 1,800 square feet of retail space and is only open to the company’s employees during the beta program, but it is expected to open to the public in early 2017. 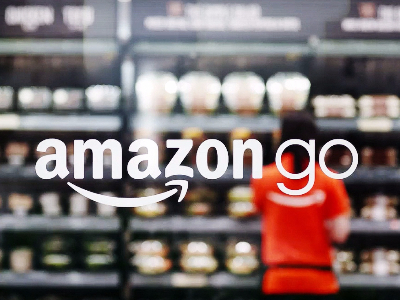 To use the service, employees need to install the Amazon Go app, log in with their account credentials, and then simply put goods from the shelves in their bag and walk out. It is not entirely clear how it separates shoplifters from Amazon Go users, but presumably it uses facial-recognition technology to match a shopper with their account, and represents a significant advance in the offline shopping experience. The store and shelves are equipped with “computer vision, sensor fusion, and deep learning,” according to the official FAQ page meaning it can detect when products are removed and returned to the shelves. When you leave the store, your account is charged. Amazon is said to be planning a chain of convenience stores that offer perishable items as well as meals. 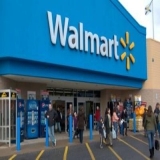 It is a further challenge to rivals such as Walmart (WMT) and Target (TGT), which depend on their grocery businesses for more than half of their annual sales. Traditional players such as Kroger (KR) are also in Amazon’s sights. 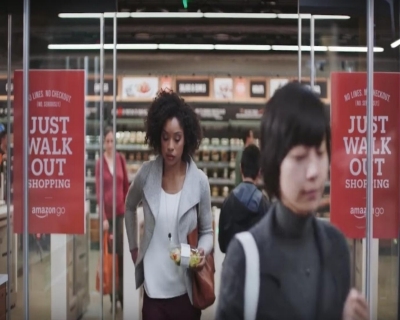 The promotional video for Amazon Go (see References) has already garnered more than 4 million views. Why is Amazon getting into offline? One of the more interesting retail stories that has emerged over the course of the last year is Amazon’s brick-and-mortar strategy. 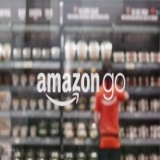 Amazon Go advances Amazon’s encroachment on the brick-and-mortar world, as it has been pushing further into the physical realm in recent years. It started with a single physical bookstore in Seattle in November 2015 and has evolved into what will be 300 to 400 more stores later this year. For years, industry watchers have tracked and proclaimed Amazon’s increasing digital toll on offline retail, so the online giant’s move into a real-world location took many by surprise. The decision to open a brick-and-mortar bookstore reflects an important realization for Amazon: there is something unique and powerful about the real-world shopping experience. Sure, people enjoy the leisure of browsing and value a hands-on experience, but there’s more to it than that. Online companies like Amazon are exploring brick-and-mortar installations because they get the best of both worlds. They are able to replicate customer expectations through high-touch in-store interactions that can achieve the best aspects of online personalization in an intuitive and physical experience. Though other internet brands are likewise trying to expand their presence offline — Warby Parker, Rent the Runway, Bonobo and Frank and Oak have all opened up physical shops — but Amazon is the one to watch out for. That the most powerful retail data engine in the world has, based on its data, decided to open up stores signals we might be at the start of a larger trend, where to be novel or unique, brands are moving away from the internet, and towards the latest sensation… your local mall. When did Amazon open its first physical store? Amazon dipped its toe into the waters of brick-and-mortar stores with the opening of a bookshop in its home city of Seattle in November last year. An expansion of stores also happened earlier this year. Richard Mollet, chief executive of the Publishers Association, said the surprise initiative showed the strength of demand for hardback and paperback books. Before branching out to offer everything from fresh groceries to original TV programming, Amazon got its start as a bookseller 20 years ago. It has since revolutionised the publishing industry by introducing its popular e-reader, the Kindle. It is following the same ritual in offline shopping too by beginning with the books. 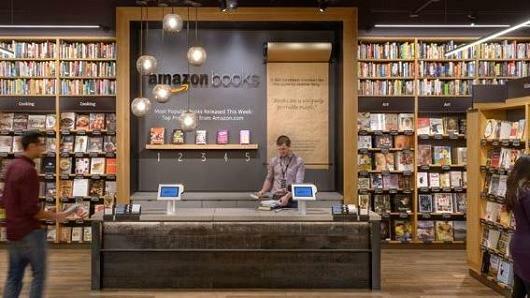 Amazon's bookstore in Seattle carries books selected based on customer ratings and popularity on Amazon.com. The storefront also provides a space for visitors to test Amazon's Kindle, Fire TV and other devices. Mollet said Amazon Books could be a boost for the publishing industry if it grew beyond the Seattle store into a chain. He added that Amazon was following in the footsteps of Apple as well as traditional bookshops. Apple opened shops across the world to sell technology, and it also uses the physical locations to bolster its brand. Amazon has been hinting at the possibility of opening physical shops for years. 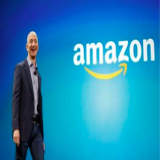 In 2012, Jeff Bezos, chief executive and founder, said he "would love to open physical stores" if he could find "that idea" that is "uniquely Amazon". Consumer appetite for a physical Amazon shop appears to be high, after a survey found the majority of people would like to see a high street store over the likes of eBay last year. Where is this move potentially disruptive? Amazon Go is a big and smart move in the game of artificial intelligence that is driving the tech sector. With a simple promotional video, Amazon has set in motion a chain of forces that could drive RFID into the mainstream and help Amazon pull further ahead of Google. It’s just one move, and nothing may come of it, but it sends out many ripples. The video creates expectations among consumers that they should be able to avoid check-out lines. It puts big grocery chains on notice that they need to figure out how to use RFID tags to create such stores before their competitors do. However the struggles come out for grocery stores, RFID wins. It moves from use in the industrial Internet of Things to the consumer world big time. These technical transitions can take many years. Note that the U.S. is only now starting to field smart cards, which have been used in Europe for a decade. No one wants to be the first to spend the money to swap out hardware. But Amazon’s video has created a new customer expectation of ease of use that may force the move. Today, retailers are just starting to mine their customer data with loyalty cards and programs. The new video is a giant billboard telling retailers that Amazon has the cloud back-end to run the RFID check-out service. Google got into mobile and now even makes smartphones, in part to get the eyeballs and increasingly to get the data sets. 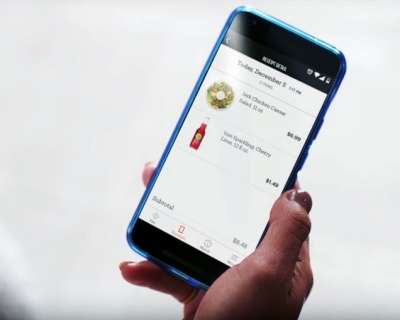 With Amazon Go, one of Google's archrivals just went for another big slice of the data pie. Note: RFID stands for Radio-Frequency IDentification. The acronym refers to small electronic devices that consist of a small chip and an antenna. The chip typically is capable of carrying 2,000 bytes of data or less. The RFID device serves the same purpose as a bar code or a magnetic strip on the back of a credit card or ATM card; it provides a unique identifier for that object. And, just as a bar code or magnetic strip must be scanned to get the information, the RFID device must be scanned to retrieve the identifying information. Who should be afraid of Amazon? Retailers like Wal-Mart should fear Amazon’s grocery ambitions. 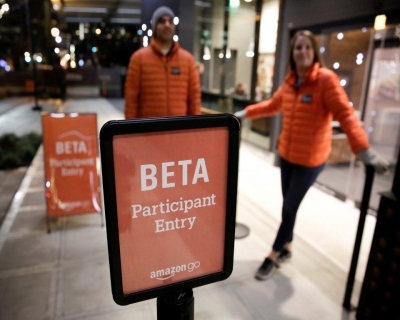 If Amazon can solve one of brick-and-mortar retail’s biggest sources of friction, the checkout process, then that could be a harbinger of how else the firm might turn physical retail on its head. As if traditional retailers didn’t already live in constant fear of rival Amazon.com Inc., now the e-commerce giant is invading their home turf. Physical retailers have reason to fear this is more than just a gimmick. The speedy checkout technology matters because retailers have been trying to crack the checkout process for decades. 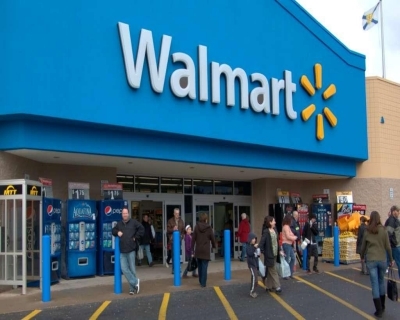 Wal-Mart once said it could save $12 million for every second it cuts from the checkout process in the US. This belief drove a Wal-Mart smartphone app that let customers scan items as they shopped. The app flopped after customers said it took too long to individually scan carts full of items. Checkout lines are the most hectic and inefficient part of any store. So automating the checkout process would not only make it more efficient, but would also make it easier and more satisfying for the shoppers. Other retailers have tried self-checkout kiosks, and Apple Pay was created partly to help speed shoppers through checkout, especially since new chip-enabled credit cards have further slowed the process. Easier, quicker payment is one of the biggest reasons customers stick with companies such as Uber and Amazon. Amazon’s move also highlights a new focus on selling groceries. Unlike electronics and books, online grocery remains anyone’s game. It’s an area of the retailing world, and a huge one, that Amazon hasn’t managed to dominate— yet. All hope is not lost for traditional retailers. There’s actually an upside to Amazon entering the physical retail realm: Operating in the daylight of physical stores—as opposed to behind secretive, online algorithms —will give traditional retail rivals such as Wal-Mart and Target a front-row seat to Amazon’s practices. They can learn from Amazon. And, frankly, in running many huge stores, it will take more than technology to dominate the market. Amazon will have to master the supply chain before it dominates the physical retail sales. The shopper uses the QR code generated by the Amazon Go app to enter the store, and continues with shopping. Anything that the shopper picks up will be added to her virtual cart. The interesting part about this virtual cart is that it will get updated in real-time. For example: If you pick up a jar of mixed fruit jam, then it will automatically get added to your virtual cart, but for some reason if you replace it with mango jam, or a pickle, then your cart will know about it automatically. The process is based on computer vision, deep learning algorithms, and sensor fusion, which is similar to what we find in the modern self-driving cars. Amazon is calling this ‘Just Walk Out Technology’. When the shopper walks out of the ‘Amazon Go’ store then her Amazon account is charged based on the items present in the virtual cart. ‘Amazon Go’ apart from selling bread and milk, would also sell ready-to-eat meals made by on-site chefs, local kitchens, and bakeries. ‘Amazon Go’ stores are still under testing, but if successful, they will give a tough competition to pick-up food chains, and supermarkets.